Worried about what to get your mom for Mothers Day? 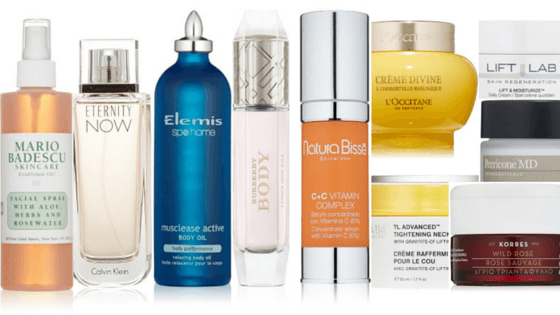 Fear no more, because I have a list of 10 absolutely fabulous, luxury skincare products that your mom will just love on Mothers Day. From a sensuous Eau de Parfum to a refreshing facial spray, an active body oil, sleeping facial and a tightening neck cream – these are the top 10 gifts to get your mom on Mothers Day this year. This luscious anti-aging skincare product is the result of five years of intensive research by Dr. Perricone. Cold Plasma addresses the ten most visible signs of aging and more than 90% of customers have found that their skin is smoother and softer, more radiant and healthy and more moisturized when they include Cold Plasma in their beauty regime. With a patented and revolutionary delivery system, this is one of the best gifts for mom this year. With neuropeptides which act as messenger molecules, the Perricone MD Cold Plasma addresses wrinkles, enlarged pores, loss of smoothness, dryness, discoloration, skin impurities, loss of radiance, uneven skin tone and loss of firmness. Cold Plasma is the one stop luxury skincare product that will make your mom’s skin sparkle and shine with health. So if you are looking for last minute gift ideas for mom this year, the Perricone MD Cold Plasma is my number 1 recommended mothers day gift idea. The top gifts for mom on Mothers Day would not be complete without a bottle of fabulous perfume to delight her senses. This bright floral scent is a favorite of woman the world over and is number two on my mothers day gift guide. With an instant burst of freshness from lychees and a floral bouquet of lush peonies, radiant peach blossoms and sensuous neroli petals this will become one of your mom’s favorite perfumes for everyday wear. Even the perfume bottle looks glorious and will fit easily on your mom’s dresser or in her handbag. With sleek lines and sweeping curves, this luscious peach scented blush perfume is the perfect Mother’s Day gift. This luscious moisturizing cream not only adds super hydration to your mom’s skin, but it plumps her skin, firms and strengthens the skin layers and reduces the appearance of fine lines and wrinkles. One of the best gifts for moms on Mothers Day. This gel-cream absorbs quickly into the skin, leaving no oily residue behind and can be used by all skin types. With peptides, botanicals and silicones, including aloe, chamomile, tumeric, henna and basil, this daily face cream will make your mom’s skin more radiant and youthful. 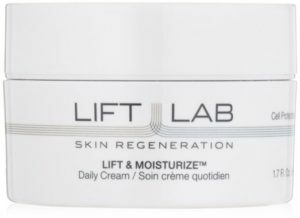 The LiftLab Lift goes way beyond being a simple moisturizer as it visibly decreases wrinkles, increases elasticity and leaves your mom’s skin feeling soft, smooth and beautiful. This is ideal as a last minute mothers Day gift for your wonderful mom. With summer coming along, this refreshing and hydrating facial mist spray is a wonderful idea for Mothers Day. This hydrating mist can be used anywhere your mom feels that she needs a light misting of freshness and it doesn’t disturb her makeup, so it a good present for mom when she is out and about. With a mix of fragrant herbal extracts and rosewater, this beautifully sweet scented facial mist is ideal for moms who work in dry, air-conditioned environments and to keep her cool when she is outside as well. All moms could do with a little pick me up during the day or they can even use it to set their makeup in the morning. So if you are still thinking about what to get mom for Mothers Day this year, check out the Mario Badescu Facial Spray today. The Korres Advanced Brightening Facial is much more than a simple facial in a jar, it is a combination of a mask, a night cream and a facial. If your mom has been complaining that her skin looks dull and tired, then this wonderful skincare product will brighten, repair and moisturize her skin overnight, while she sleeps peacefully. This has to be one of the best gift ideas for mom this Mothers Day! Why not give your mom a revolutionary break through in beauty sleep this year? 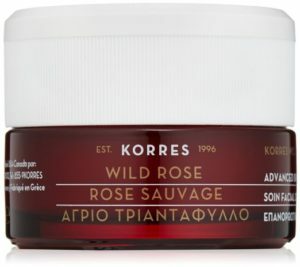 With Koreas Phos Compound, a propriety blend of brightening agents and one of the best anti-oxidants known to rejuvenate skin – vitamin C – and packed with oodles of natural ingredients and the beautifully fragrant Wild Rose, the Korres Advanced brightening Sleeping Facial is a lovely, thoughtful gift for Mothers Day. The Elemis Musclease Active Body Oil is the perfect solution for muscle pain and stressed joints. With maritime pine, sea buckthorn, sea fennel and rosemary essential oils, this body oil has a lovely scent and is created by a British skincare 7 spa brand that delivers pioneering, clinically proven results. Recommended by spas, the Elemis Musclease Body Oil is an essential foil for muscle aches and pains and works best when massaged into the skin just after a nice hot shower or bath. This product is perfect to relieve muscle cramps, swollen legs, sore knees and a host of other aches caused by muscle tension. This is one of the best gifts for Mothers Day and will help your mom recover quickly from her gym and fitness exercises and any other muscle aches and pains that come along. Lots of massage therapists use the Elemis Body Oil and they find that it really helps their clients, so it is well worth a look this Mothers Day. With a delicate blend of dewy English Roses, white jasmine and sandalwood, this body milk has a young, fresh and bright fragrance that all moms will love this Mothers Day. This is a lightweight fragrance that hints of fresh lemons and crisp apples and offers sensual notes of amber, cashmeran and musk. Moms can never have too many beautiful fragrances in their repertoire and the Burberry body Tender Milk will make a lovely addition to her collection. The Burberry Body Tender Milk is a wonderful gift solution, which removes the worry about last minute Mothers Day gift ideas. What mom doesn’t deserve to have smooth, soft and scented skin every day? This very feminine fragrance has an eclectic mix of beautiful scents and makes the ideal gift for your mom this Mothers Day. Treat your mom to a luscious vitamin C serum by Natura Bisse this Mothers Day and give her the gift of wonderful fresh, clear and radiant skin. This vitamin C serum revitalizes her skin and is packed with powerful antioxidants to fight the ravages of too much sun exposure. The Natura Bisse C+C Vitamin Complex is an anti-aging and revitalizing serum with 6% vitamin C, a natural antioxidant that slows the process of aging in the skin. This serum will make your mom’s skin brighter, healthier and fresher and will stimulate the production of collagen and restore suppleness an a more youthful appearance. Natural Bisse is a leader in innovative skincare and produces the finest luxury skin and face products on the market. When you purchase the fabulous Natura Bisse C+C Vitamin Complex you will not only bring a smile to your mom’s face this Mothers Day, but you can stop worrying about what to get mom this year. 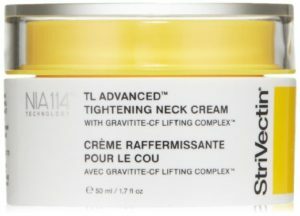 Show your mom you care this Mothers Day with the StriVectin TL Advanced Tightening Neck Cream. This innovative cream features a breakthrough Gravitite-CF Lifting Complex to provide immediate and visible lift in your mom’s neck area. Your mom’s skin will feel super hydrated, tighter, smoother and more supple. This is a luxurious formula that contains a powerful blend of technologically advanced ingredients to improve the elasticity of the skin. Why not help your mom to get rid of her sagging neck and tighten up the area with this wonderful neck tightening cream? This makes a perfect gift this Mother’s Day for your mom and shows her how much you appreciate her every single day. If your mom has lost weight or her skin is sagging around the neck and jowl area, then the StriVectin TL Advanced Tightening Neck Cream might just be the solution to her problems. This luxurious and lightweight Divine Cream is truly Divine! 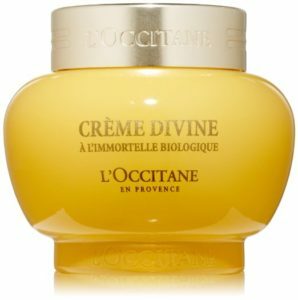 With its unique anti-aging properties, the L’Occitane Immortelle Divine Cream is one of the best gifts for Mother’s Day this year. The Divine Cream won the 2012 Best Miracle Cream in Anti-Aging Beauty Bible and is designed to give your mom’s complexion the youthful, radiant glow she has always wanted. Its silky texture simply melts into your mom’s skin, allowing its rejuvenative and nourishing ingredients to enhance and brighten the skin. Your mom’s facial contours will look lifted and redefined, her wrinkles will be reduced and smoothed away and her complexion will look more youthful and radiant. Jam packed with essential oils, this truly is a divine skincare cream for visibly younger looking skin. Add the L-Occitane Immortelle Divine Cream to your mom’s beauty routine and make her smile this Mothers Day. Read my hyaluronic acid serum reviews here.